Although the cobbles in this photo look fairly smooth this could not be further from the truth. 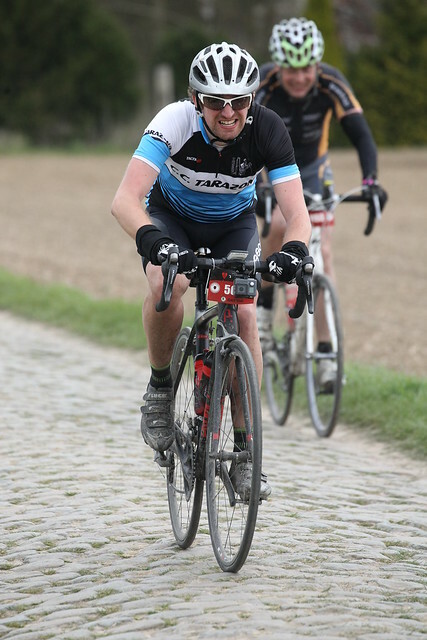 The section of the Carrefour de l’Arbre is classed as a 5 star section – the toughest there is in the Paris Roubaix Challenge. What the photo does not show is the fact that Alfonso is also tackling a fierce headwind that battered most of the challenge.